Having a vacation home in paradise is undoubtedly a convenient way to escape and relax. It’s also a way to increase your net worth and provide resources to friends and family members. But, many people who are considering investing in a vacation home don’t even realize that having one can have great psychological benefits, as well. 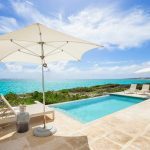 Here are some psychological perks you may just experience if you decide to purchase a second home for vacations. If you have a vacation home, there’s a chance it’s near a beach, lake, or river. Having a home near a body of water has been proven to be good for mental and physical health. Seeing water has been shown to soothe nerves and decrease stress, and physical health tends to improve the close that you live to a body of water. So, if you own a home that brings you close to the shore or the sea, you’ll be able to experience the perks of a calmer life and a better body. 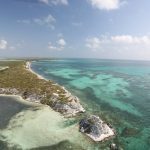 Consider a home on an island in the Atlantic Ocean if you want to enjoy more Turks and Caicos Vacations. When you have a vacation home, you have a place where you know you can escape time and time again. This means that a potential trip is always in the future. Studies show that anticipating a trip and planning for it dependably increases happiness (perhaps even more than taking the trip itself). So, by investing in a vacation home that is permanent and always there, you can consistently turn to the fact that a vacation can be planned in the future–and revel in the happiness you feel from experiencing that thought. Owning a second home in a place that feels like paradise creates a sort of permanent second home base where your family can spend time. By bringing your family there and escaping the regular distractions and stressors of your daily life (and regular home), you can create a time and space for family bonding, as well as an opportunity to create memories that can be enjoyed by everyone involved. Owning a second home offers a space that feels comfortable and space to spend time in, freeing up mental energy to focus on deepening bonds and creating unforgettable experiences. When you have a vacation home, you’ll go to the same spot again and again. This means that you’ll meet new people who also live in that community, you’ll shop in new stores, and you’ll spend time (regularly) in new places. So will your kids and partners. This consistency and regularity will allow you to create bonds with new people, and those bonds can greatly enhance the quality of your life. By having a second home that you escape to time and time again, you can create a richer set of experiences for yourself and your family, which can make you feel more fulfilled. 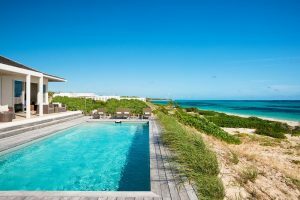 If you are considering investing in a vacation home so you can enjoy more escapes to Turks and Caicos Paradise, it’s important to think about the tangible, financial benefits of the decision. But, you may also want to consider the psychological benefits it could afford too. By realizing that your vacation home may not just improve your assets but also how good you feel, you may discover that the investment is one that is certainly worth it.